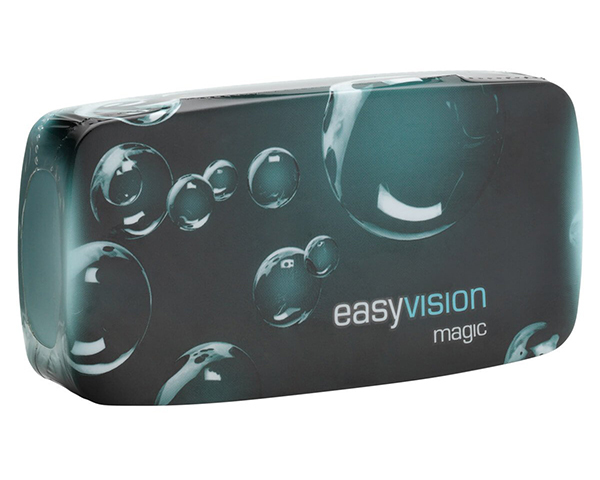 easyvision® Magic is a very comfortable contact lens that comes in a tiny magical box! These lenses take up very little space with packaging that is less than 1 mm thick . This innovative ultra thin pop-up design ensures that the lenses are always correctly oriented when you open the packaging, meaning that the inside of the contact lens is never touched with your fingers reducing the chance of contaminates getting into your eyes. easyvision® Magic is designed to be worn as a daily disposable lens, giving you a fresh comfortable new lens every day. Feel the magic, easyvision® Magic available only from Specsavers.